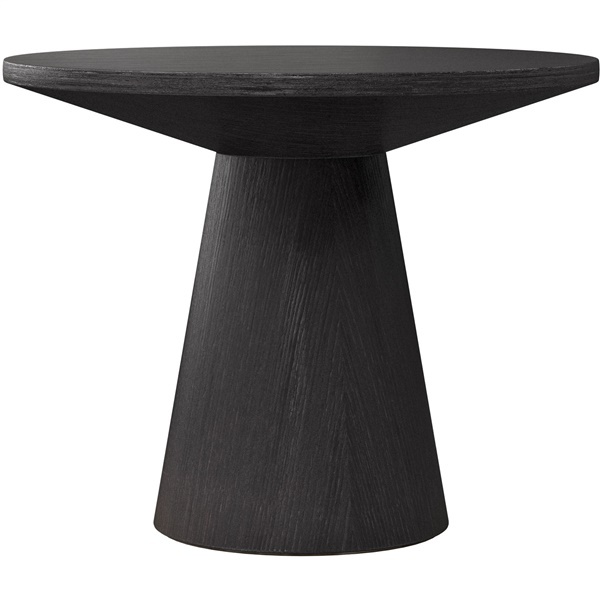 Clean lines and a bold, yet simple design make the Eyre Side Table a perfect accent piece for a modern or industrial-chic living room. The table’s sleek and fluid geometric design is graceful and eye-catching, and adds a modern sculptural element to a living space. Meanwhile, its simple understated style fits in seamlessly with a number of different home decors. The Eyre coffee table is expertly crafted from wood, and made to be durable, study and wear resistant. It comes in your choice of finish colors, with visible wood grain for added character. The Eyre looks lovely alone, but truly completes a design when paired with the Eyre Coffee Table.